On the evening of December 9 the doors of the Onassis Cultural Centerʼs galleries swung open to sanctuaries where ancient women murmured their secrets to their modern counterparts, who listening carefully to their stories, joined their ageless sisterhood. Men are not excluded, however; the goddesses, heroines, and priestesses in the much-anticipated exhibition, Worshipping Women: Ritual and Reality in Classical Athens, speak just as clearly to them, inspiring the same awe and admiration for the women of Classical Athens whose participation in religious rites defined them as Athenians and as Greeks. Women were restricted from the political process of Classical Athens but they had a tremendous presence in religion, that vital aspect of ancient society considered crucial to securing and maintaining the divine favor that was believed to have made Athens great. Worshipping Women: Ritual and Reality in Classical Athens makes the major point that their participation in religious rites was the way that women could have influence in the public sphere…in religion, women had certain inalienable rights which men could not oppose,” exhibition co-curator, Dr. Nikos Kaltsas, Director of the National Archaeological Museum of Greece, told The Greek News. 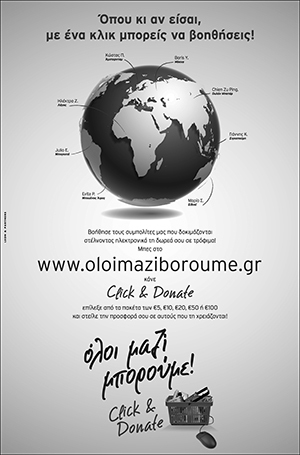 On view until May 9, 2009, this is the first major exhibition in the 10th anniversary season of The Alexander S. Onassis Public Benefit Foundation (USA) and the Onassis Cultural Center and was organized in collaboration with the National Archaeological Museum of Athens Greece. The beautifully mounted collection of gorgeously shaped and decorated vessels and votive plaques, statues, grave steles, and other artifacts dating from the Archaic period though the Roman era are presented in three sections titled Goddesses and Heroines, Women and Ritual, and Women and the Cycle of Life. Co-curators Dr. Kaltsas and Dr. Alan Shapiro, Professor of Classics and Archaeology at Johns Hopkins University brought together the exhibitionʼs 155 precious archaeological artifacts. “This modestly scaled yet ambitious exhibition drawn from many museums both in and outside Greece, is the model of international cooperation in an age when movement of antiquities around the world, as you know, continues to be a contentious issue,” says Dr. Shapiro. Worshipping Women: Ritual and Reality in Classical Athens can be said to be part of a cycle. In addition to the accompanying catalogue and upcoming seminars/symposia that will elaborate on the theme of the exhibition, the cycle included the dramatic performance, Powerful Voices: Women in Ancient Greek Drama, on December 7 performance, at Florence Gould Hall, featuring leading Greek tragedian, Lydia Koniordou and Academy Award-winner Olympia Dukakis as well as actors Claire Brownell, Gareth Saxe, and cellist Bonfire Madigan Shive. On the morning of May 9, the day of the official opening of the exhibition, at a Press Preview breakfast in the Atrium Café, Mr. Anthony Papadimitriou, President of the Alexander S. Onassis Public Benefit Foundation (USA), expressed his feeling that “Worshipping Women: Ritual and Reality in Classical Athens is possibly the Onassis Cultural Centerʼs most important exhibition thus far”. These programs have been impressive: more than 260,000 people have visited the Centerʼs 10 exhibitions major exhibitions — enthusiastically covered by major American media — and 15 smaller exhibitions. Approximately 70,000 students and professors took part in seminars and international conferences held in North and South America, while approximately one hundred and ten academics and scientists from Greece and other countries have been invited to the United States and have addressed over three hundred universities and educational institutes. Dr. Kaltsas and Dr. Shapiro also addressed the gathering, Dr. Kaltsas outlining the lending museums and the renowned contributors to the fine catalogue accompanying the exhibition, and Dr. Shapiro talking about the genesis of the exhibition and the concept and themes it addresses. “The subject of the status of women in ancient Greece has been one of much discussion and debate in classical studies in the wider world for many years now, at least since the advent of the feminist movement of the 1970ʼs,” said Dr. Shapiro, who said that new archeological material and new interpretations continue the discussion. “The traditional picture of Athenian women leading sequestered lives, restricted from the political process of Athens — an image derived mainly from male authors in literary texts — is belied by the archaeological record,” said Dr. Shapiro. “The archaeological record paints a vivid picture of womenʼs active involvement in many cults and festivals, serving as priestesses and other cult officials, making dedications in sanctuaries to the gods and especially to the goddesses of their city, Athens, and the region of Attica, and sharing in many rituals that were believed to bring the godsʼ favor to their city”. “The exhibition tries to inform and educate the museum-going public about aspects of classical Greece that all are aware of but many have not thought about in any depth before, to move forward the discussion of the status of women in antiquity and argue for a more nuanced and balanced picture than the usual stereotype, and at the same time to show off some of the finest works of art of the painters and sculptors who worked in Greece from the Archaic period down to Roman times,” said Dr. Shapiro. The breakfast was followed by superb curatorial tours of the exhibition by Dr. Kaltsas in Greek and Dr. Shapiro in English, accommodating both the large contingency of Greek journalists who traveled to the US for the exhibition, and the American press, and making the complex information behind the artifacts understandable even to non-initiates of their mysteries. At the elegant reception preceding the ribbon-cutting ceremony on the evening of May 9, the flood of guests waiting to see the exhibition listened as Ambassador Loucas Tsilas, Executive Director of the Onassis Cultural Center and Mr. Papadimitriou hosted the opening with honored guests PASOK MP Mariliza Xenogiannakopoulou, former premier of Greece Constantine Mitsotakis, Greek Deputy Foreign Minister Theodoros Kassimis, and Bishop Philotheos of Meloa. Mr. Papadimitriou made special mention of the production, Antigone, presented by the students of the Frederick Douglass Academy in Harlem on the following night. The schoolʼs principal, Gregory Hodge, attended the opening with students. Mr. Papadimitriou and Ambassador Tsilas praised the occasion of this event highly, recognizing it as an honorary adjunct to the exhibition and urging people to attend the performance. Mr. Kassimis noted that the collaboration between the Alexander S. Onassis Public Benefit Foundation (USA) and the National Archaeological Museum in Athens offers audiences the opportunity to learn aspects of everyday life in the ancient Hellenic world. He congratulated the Onassis Foundation on its 10th anniversary, “on ten years of highly successful promotion of Hellenic civilization which has been proved not only by the present cooperation of the National Archaeological Museum in Athens, but also by the fact it was entrusted with precious artifacts from famous museums from all over the world. After all, every journey into antiquity is, in reality, an exploration of the foundations of western civilization. I am certain that this exhibition will attract the attention of the public not only in America, but in Greece,” Mr. Kassimis said in closing. Lending museums are the Acropolis Museum, the Benaki Museum, the museums of Vravrona, Kerameikos, the Ancient Agora, Pireaus, Argos, the Epigraphical Museum and the First, Second, and Third Ephorates of Antiquities, The Metropolitan Museum of Art, The Museum of Fine Arts, Boston, the Antikensammlung Staatliche Museen zu Berlin, the Bibliothèque nationale de France, the Bibliothèque royale de Belgique, The British Museum, the Louvre, the Museum of Fine Arts, Boston, Museo Nazionale Archeologico, Ferrara, the State Hermitage Museum, the Vatican Museums, Universität Bonn, and the University of Newcastle. In addition to the guests mentioned in the text, some of the distinguished guests were: His Grace Bishop Vikentios of Apameia, Senator Paul Sarbanes, H.E. Ambassador Alexandros Mallias, Embassy of Greece in Washington, The Honorable Aglaia Balta, Consul General of Greece in NY, The Honorable Andreas Panayiotou, Consul General of Cyprus in NY, The Honorable Sophia Veve, Consulate General of Greece in NY, The Honorable Pietro Pavoni, Consul General of Romania in NY, The Honorable Dimitrios Caramitsos-Tziras, Consul General of Greece in LA, Captain Evangelos Tzantzalos, Maritime Attache, Admiral James G. Sravridis, United States Navy Commander Colonel Jorge Silveira, Dr. Marie Bountrogianni, Royal Ontario Museum, Dr. Dimitrios Pandermalis, New Acropolis Museum, Dr. Dimitrios Konstantios, Byzantine Museum, Dr. Andreas Scholl, Director of the Berlin Archaeological Museum, Dr. Joan Aruz, Metropolitan Museum of Art, Dr. Joan Mertens, Metropolitan Museum of Art, Dr. Helen C. Evans, Metropolitan Museum of Art, Dr. Maurizio Sannibale, Curator, Vatican Museum, Dr. Alexander Kruglov, Curator of Sculpture, The State Hermitage Museum, Dr. Anna Petrakova, Curator of Antiquities, The State Hermitage Museum, Mrs. Lydia Koniordou, and officials and Members of the Board of The Alexander S. Onassis Public Benefit Foundation (USA), including Mr. John Ioannides, Mrs. Marianna Moschou, Mr. Paul Ioannidis, Mr. George Babiniotis, Mr. Stefanos Tamvakis, Mr. Apostolos Zabelas, Mr. Loucas Tsangarides, Mr. Giorgios Loukos, Mr. Gregory Nagy, and Mr. Michael Jaharis.